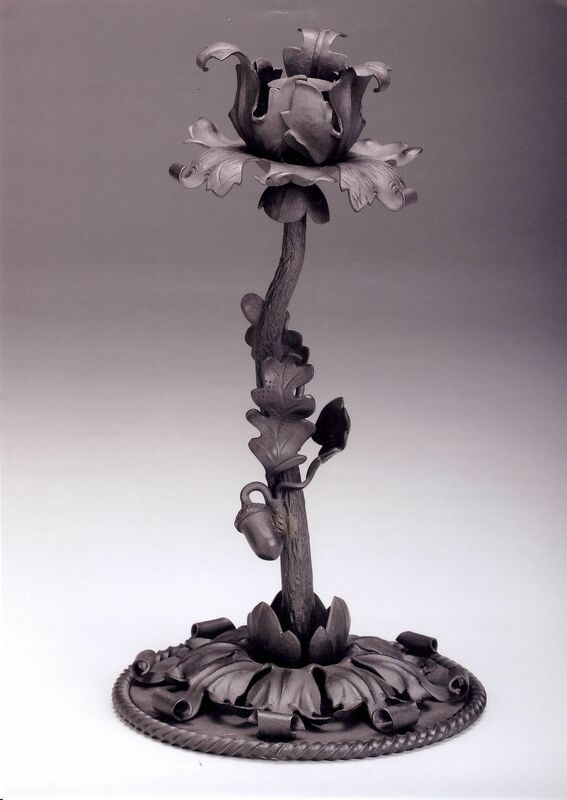 Dan Nauman has been practising and teaching the art of repousse’, more specifically “French Repousse'”, since 1994. He studied with the late Nahum Hersom of Boise, Idaho in the early 90’s. 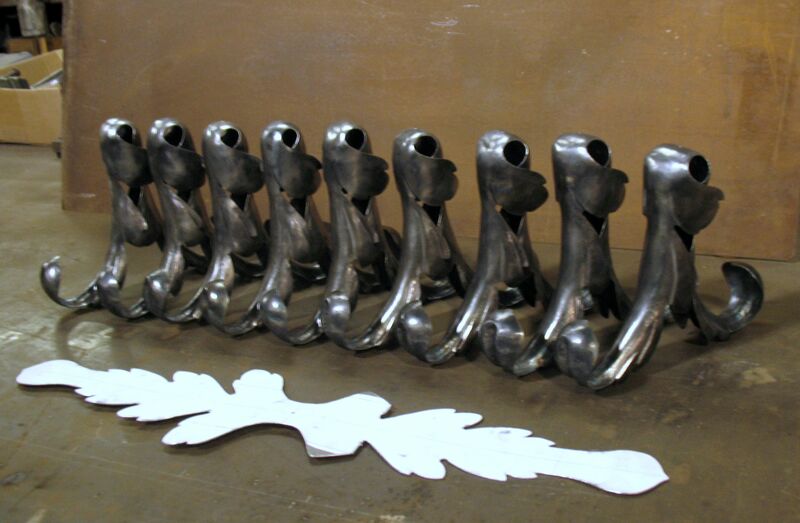 Nauman applies this form of metalwork to his hand-forged creations, as well as to restorations around the country. In general, this form of repousse’ is not commonly practised today. Reasons may stem from the fact that the process is labor intensive, which in turn boosts the cost of a finely finished piece. Patience, countless hours of practise, as well as extreme focus are all required in this process. 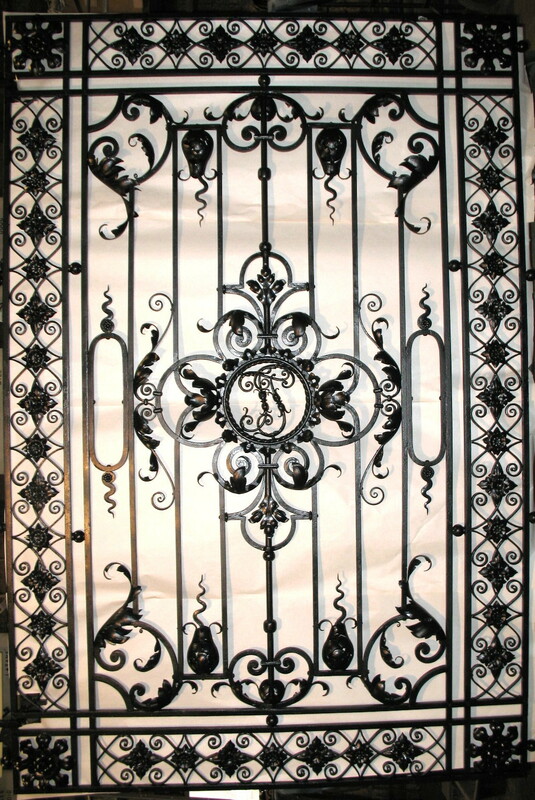 In an age of instant gratification, this form of metalwork contrasts boldly with modern metal forming techniques. Wall Sconce. Captain Frederick Pabst Mansion, Milwaukee, WI. 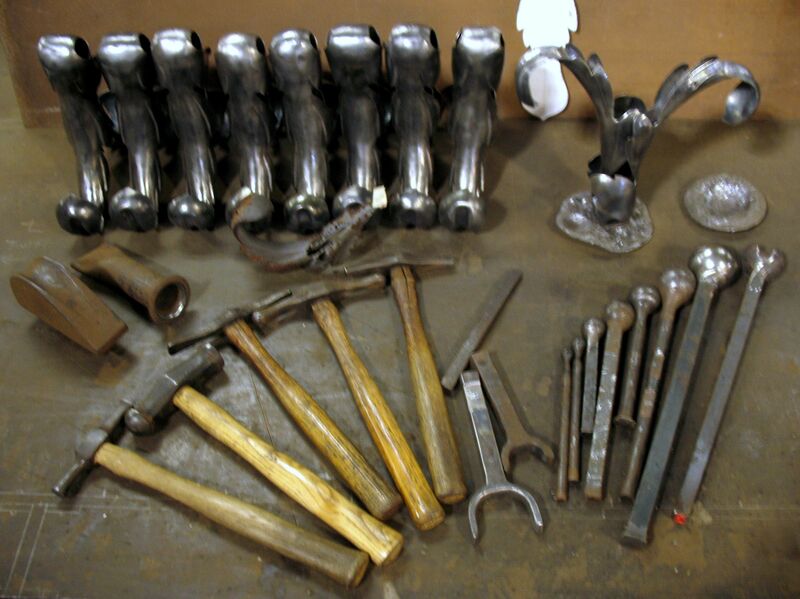 Below are some of the tools used in the process. These are but a few of the hundreds of hammers, stakes, punches, forms, etc. that make up the tool chest of the repousse’ artist…most of which are made by the artist himself, as most of these cannot be purchased from a catalogue, or hardware store. Grille Restoration. 66″ x 99″. 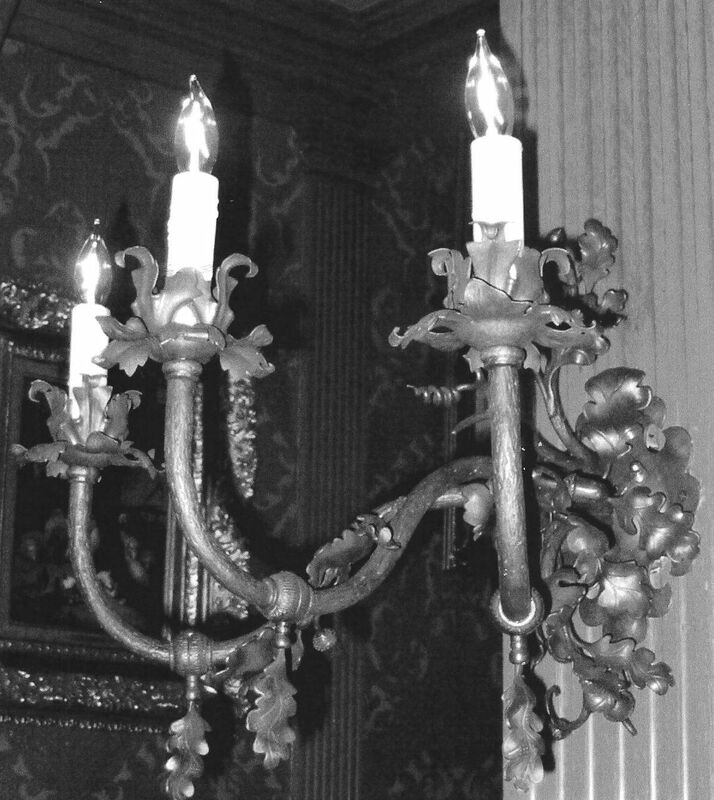 Captain Frederick Pabst Mansion, Milwaukee, WI. 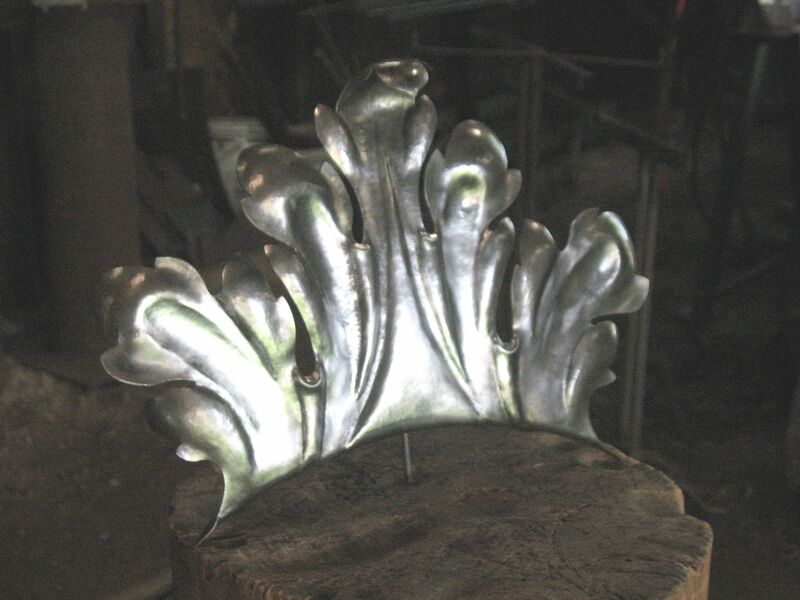 About 99% of the leafwork and rosettes were reproduced to restore the grille above. 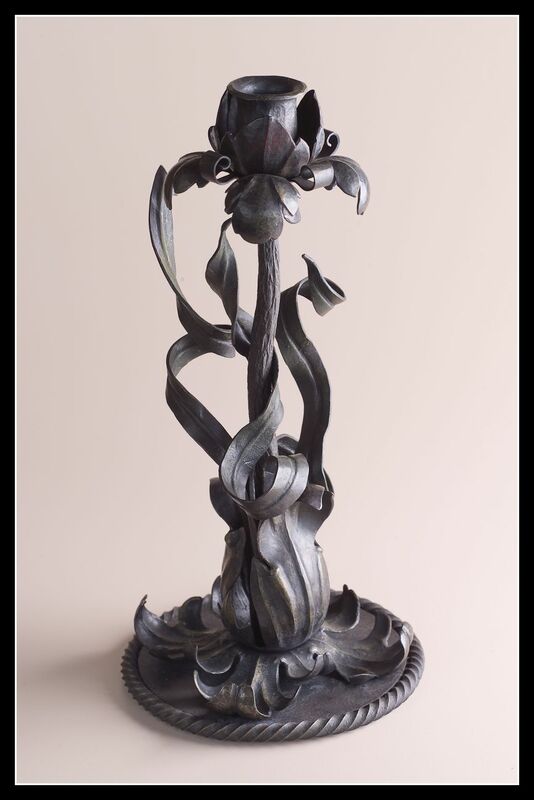 As so often happens in restoration, replacing these forms simply cannot be accomplished by simply purchasing catalogued pieces, thus requiring the use of repousse’ processes. Currently, as I write this in October of 2012, I am restoring two gates from the former estate of Harvey Firestone Jr., in Cleveland, Ohio. Below are some of the forms required for this project. 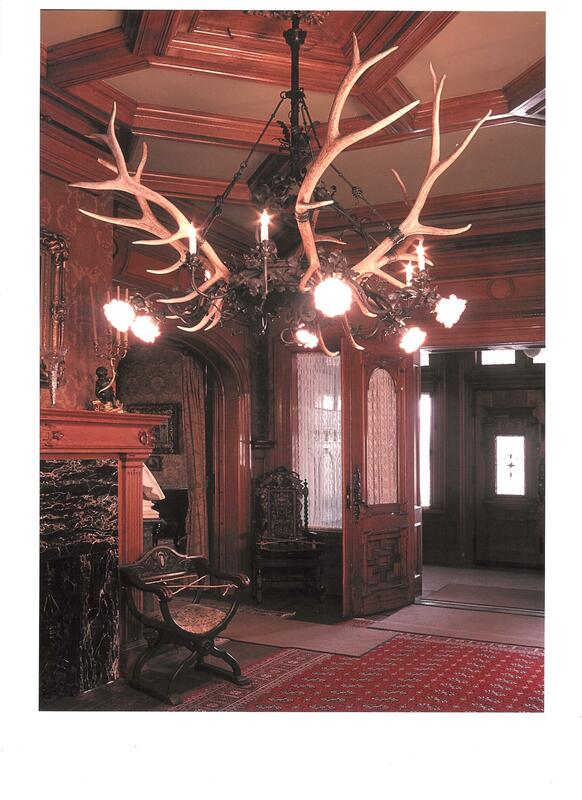 The story boards above were made for “Villa Terrace Decorative Arts Museum” in Milwaukee, WI. 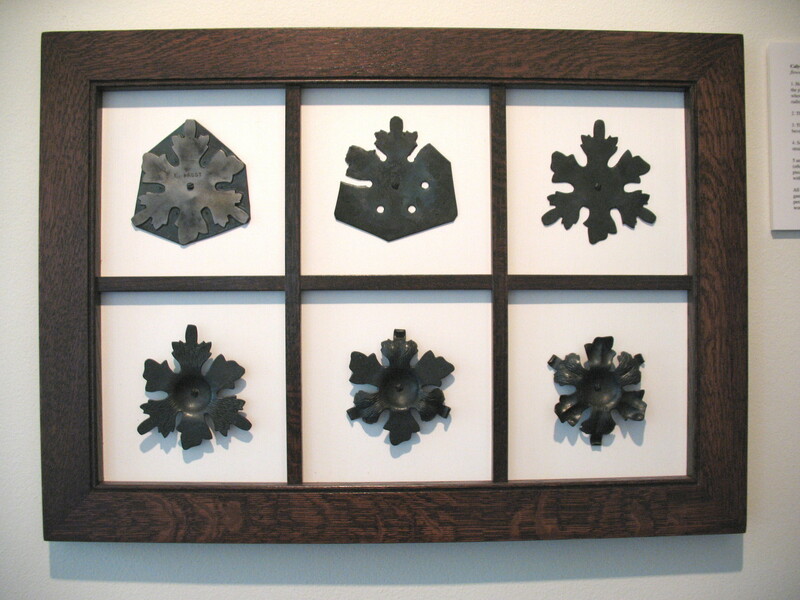 They are located in the “Cyril Colnik Gallery”, to show some of the processes used by this great master blacksmith. (Colnik, (1871-1958) was an Austrian immigrant, coming to the USA in 1894, finally practising his trade in Milwaukee.) 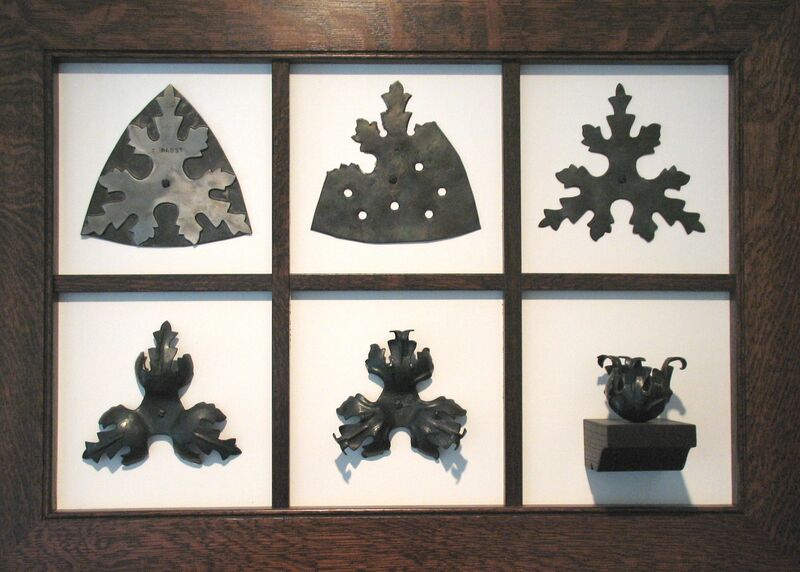 The storyboards show how the pattern is initially applied to the metal, cut-out with chisels, filed to a finished shape, then raised through French Repousse’. 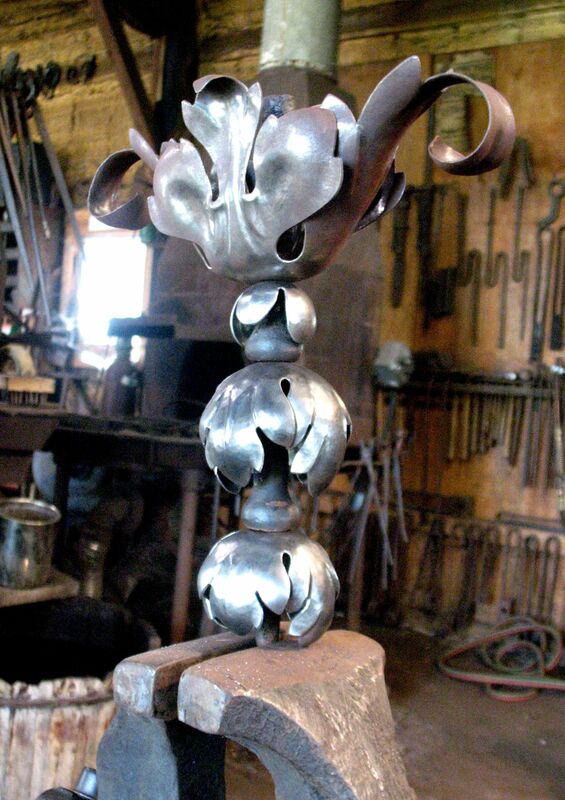 If you are interested in learning this aspect of metalwork, Nauman teaches the process both at his studio in Kewaskum WI, as well as at tradeschools, colleges, and craft schools around the country.